Do you want to know what you can do, today, to make yourself a better trader or investor? If so, this book is for you. 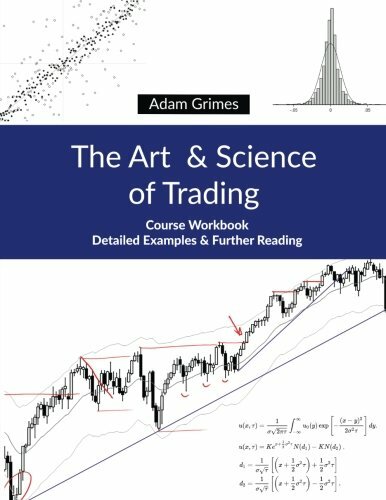 Distilling over two decades of trading and teaching experience, Adam Grimes shares exercises, tools, and techniques that have helped thousands conquer the challenges of the market. No matter if you’re an expert, developing trader, or a complete beginner, the ideas and techniques in this book can help you. Between these covers you will find exercises to deepen your understanding of market patterns, and ways to look at market history that will lead to new insights. Understand probabilities and risk, and learn how to craft a trading plan that covers everything from the biggest picture to the smallest details of your daily routine. Transform your psychological perspective as you come to understand your own strengths and weaknesses, and move toward enduring success in the market. Many books give you knowledge and facts, but this book shows you how to become a trader. Never before has there been a complete curriculum to develop the skills of profitable trading. Check out the extensive, free trading course videos at MarketLife.com! If you have any questions about this product by Hunter Hudson Group, contact us by completing and submitting the form below. If you are looking for a specif part number, please include it with your message.